Professor Geoff Whitty was instrumental in the establishment and development of the Centre of Excellence for Equity in Higher Education (CEEHE). In his role as Global Innovation Chair for Equity in Higher Education, Co-Director and Honorary Professor of CEEHE, Professor Whitty brought with him a wealth of experience in scholarship, educational leadership and policy development. As colleagues have reflected, Professor Whitty's career was defined by his profound concern for equity and social justice in education—a concern that fuelled the incredible service to education he made through his research, on-the-ground work with educators and students, and role in educational reform at an international level. His scholarly work has had a lasting contribution and remains relevant today, continuing to inform policy makers and influencers to translate ideals of 'equality of opportunity' and 'social justice' into reality. Professor Whitty was admitted to the degree of Doctor of Education (honoris causa) at the University of Newcastle. The honorary degree recognised his profound contribution to improving access to education for communities across the globe. Professor Whitty's approach to research was collaborative and internationally focussed, reflected in his commitments at UON and to many international networks of educators, researchers, policy makers and institutions. 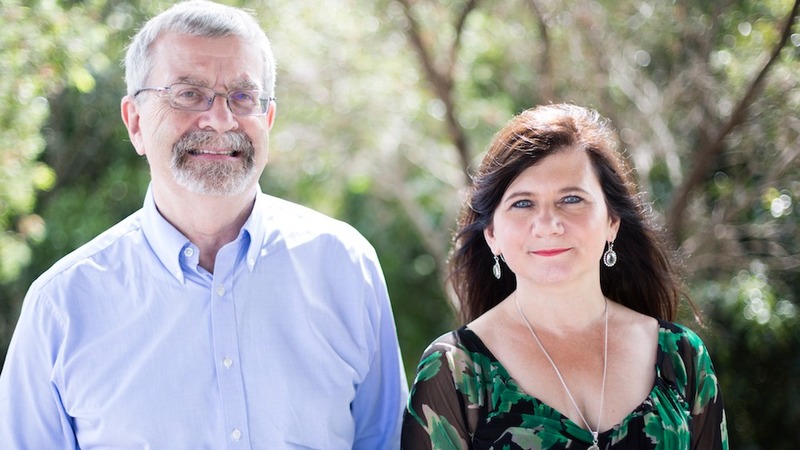 In a recent publication on Equity Issues in Teaching and Teacher Education, written for the Global Learning Equity Network, Professors Whitty and Burke (CEEHE Director) spoke of the role that the CEEHE aims to play in 'bringing together different pedagogical and research communities'—in order to 'disrupt persistent patterns of inequality across social differences' (2018: 282). Professor Whitty's personal commitment to this goal is evidenced by the considerable impact he made internationally, across disciplines, policy sectors, and institutions. The strategic vision, insight and global networks that Professor Whitty brought to CEEHE have been integral in establishing CEEHE as a centre that brings together research, theory and practice in order to leverage higher education for social justice. In doing so Professor Whitty helped to establish CEEHE as a national and global leader in the field. Professor Whitty’s generous mentorship and gentle encouragement of colleagues across UON helped to secure significant federal and philanthropic funding for equity research and practice at UON. He will be remembered for his generosity of spirit, great intellect, rich scholarship, inspirational leadership, commitment to social justice and wonderful friendship. His legacy will continue in our work. Lists of Professor Whitty's publications are available below. Whitty, G. J., Anders, J., Hayton, A., Tang, S., & Wisby, E. (2016). Research and Policy in Education: Evidence, Ideology and Impact. London: IOE Press. Power, S., Edwards, T., Wigfall, V., & Whitty, G. (2003). Education and the Middle Class. Buckingham, UK: Open University Press. Whitty, G. J., Power, S., & Halpin, D. (1998). Devolution and Choice in Education : the School, the State and the Market. Buckingham, UK: Open University Press. Whitty, G. (1997). Creating quasi-markets in education: A review of recent research on parental choice and school autonomy in three countries (Vol. 22). Whitty, G., Edwards, A. D., & Gewirtz, S. (1993). Specialisation and Choice in Urban Education. London: Taylor & Francis. Whitty, G. J., & Edwards, T. (1989). The State and Private Education : an Evaluation of the Assisted Places Scheme. T. Edwards, G.
Whitty, & J. Fitz (Eds. ), London: Falmer Press. Whitty, G. J. (1985). Sociology and School Knowledge : Curriculum Theory, Research, and Politics. London: Methuen. Whitty, G. J. (1977). Society, State and Schooling : Readings on the Possibilities for Radical Education. G. Whitty, & M. Young (Eds. ), Lewes, UK: Falmer Press. Whitty, G., & Gleeson, D. (1976). Sociology: The Choice at A Level. G. Whitty, & D. Gleeson (Eds. ), Driffield, UK: Nafferton Books. Whitty, G. J. (1976). Explorations in the Politics of School Knowledge. G. Whitty, & M. Young (Eds. ), Driffield, UK: Studies in Education. Whitty, G. J., & Gleeson, D. (1976). Developments in Social Studies Teaching. London: Open Books. Whitty, G. J. (2018). Taking subject knowledge out and putting it back in again? A journey in the company of Michael Young. In D. Guile, D. Lambert, & M. J. Reiss (Eds. ), Sociology, Curriculum Studies and Professional Knowledge: New Perspectives on the Work of Michael Young (pp. 17-30). Abingdon: Routledge. Yan, F., & Whitty, G. J. (2017). Politics and policy changes in minority education in China: The case of XinYang. In R. Race (Ed. ), Advancing Multicultural Dialogues in Education (pp. 313-333). London: Palgrave Macmillan. Yan, F., & Whitty, G. (2016). Towards inter-cultural education in Xinjiang, North-west China?. In L. Bash, & D. Coulby (Eds. ), Establishing a Culture of Intercultural Education (pp. 121-153). Newcastle upon Tyne, UK: Cambridge Scholars. Whitty, G. J. (2016). My life with the sociology of education. In A. R. Sadovnik, & R. W. Coughlan (Eds. ), Leaders in the Sociology of Education: Intellectual Self-Portraits (Vol. 9, pp. 287-300). Rotterdam: Sense. Whitty, G. J., & Power, S. (2015). Selective, Comprehensive and Diversified Secondary Schooling in England: a Brief History. In A. De Waal (Ed. ), The Ins and Outs of Selective Secondary Schools: a Debate (pp. 9-28). London: Civitas. Whitty, G. J., & Mullan, J. (2013). Postgraduate education: Overlooked and forgotten?. In C. Callender, & P. Scott (Eds. ), Browne and Beyond: Modernizing English Higher Education (pp. 173-194). London: IOE Press. Whitty, G. J. (2012). Policy Tourism and Policy Borrowing in Education: A Trans-Atlantic Case Study. In G. Steiner-Khamsi, & F.
Waldow (Eds. ), World Yearbook of Education 2012: Policy Borrowing and Lending in Education (pp. 354-370). London: Routledge. Whitty, G. J. (2011). Securing the future of postgraduate education. In L. Coiffait (Ed. ), Blue Skies: New thinking about the future of higher education (pp. 99-102). London: Pearson. Whitty, G. J., & Wisby, E. (2011). Pupil Empowerment in Schools: Limits and Possibilities. In K. N. Panikkar, & M. Bhaskaran Nair (Eds. ), Emerging Trends in Higher Education in India: Concepts and Practices (pp. 93-103). New Delhi: Pearson. Whitty, G. J. (2010). Marketization and Post-marketization in Contemporary Education Policy. In J. Kauko, R. Rinne, & H. Kynkäänniemi (Eds. ), Restructuring the Truth of Schooling: Essays on Discursive Practices in the Sociology and Politics of Education (pp. 287 pages). Jyvaskyla: Finnish Educational Research Association. Whitty, G. J., & Wisby, E. (2009). Quality and impact in educational research: Some lessons from England under New Labour. In T.
Besley (Ed. ), Assessing the Quality of Educational Research in Higher Education (pp. 137-156). Rotterdam: Sense Publishers. Whitty, G. J. (2008). Changing modes of teacher professionalism. In B. Cunningham (Ed. ), Exploring Professionalism (pp. 28-49). London: Inst of Education. Whitty, G. J. (2004). Karl Mannheim (1893-1947). In C. Matthew, & B. Harrison (Eds. ), Oxford Dictionary of National Biography (pp. 480 pages). Oxford, UK: Oxford University Press. Whitty, G. J. (2002). Quasi-Markets in Education. In D. Levinson, P. W. Cookson, & A. R. Sadovnik (Eds. ), Education and Sociology: An Encyclopedia (pp. 473-484). New York: RoutledgeFalmer. Whitty, G. J. (2001). Vultures and Third Ways: Recovering Mannheim's Legacy for Today. In J. Demaine (Ed. ), Sociology of Education Today (pp. 206-222). Basingstoke, UK: Palgrave Macmillan. Whitty, G. J. (2000). Sociology of Education and Urban Education Policy. In K. A. McClafferty, C. A. Torres, & T. R. Mitchell (Eds. ), Challenges of Urban Education: Sociological Perspectives for the Next Century (pp. 79-96). Albany, NY: SUNY Press. Whitty, G. J., Furlong, J., Barton, L., Miles, S., & Whiting, C. (2000). Training in Turmoil: Researching Initial Teacher Education in England in the 1990s. In A. Scott, & D. J. Freeman-Moir (Eds. ), Tomorrow's Teachers: International and Critical Perspectives on Teacher Education (pp. 11-42). Christchurch, New Zealand: Canterbury University Press. Whitty, G. J., Gewirtz, S., & Edwards, T. (2000). New Schools for New Times? Notes towards a Sociology of Recent Education Reform. In T. S. Popkewitz (Ed. ), Educational Knowledge: Changing Relationships Between the State, Civil Society, and the Educational Community (pp. 111-129). Albany, NY: SUNY Press. Apple, M., & Whitty, G. J. (1999). Structuring the postmodern in education policy. In D. Hill, P. McLaren, M. Cole, & G. Rikowski (Eds. ), Postmodernism in educational theory (pp. 67-87). London: Tufnell Press. Mortimore, P., & Whitty, G. J. (1999). School improvement: A remedy for social exclusion?. In A. Hayton (Ed. ), Tackling disaffection and social exclusion: Education perspectives and policies (pp. 80-94). London: Kogan Page. Whitty, G. J. (1999). New Right and New Labour: Continuity and change in education policy. In H. Kastendiek, R. Stinshoff, & R.
Sturm (Eds. ), The return of Labour: A turning point in British politics? (pp. 191-206). London: Philo. Edwards, T., Whitty, G. J., & Power, S. (1999). Moving back from comprehensive secondary education?. In J. Demaine (Ed. ), Education policy and contemporary politics (pp. 30-43). Basingstoke, UK: Macmillan. Power, S., & Whitty, G. J. (1999). Market forces and school culture. In J. Prosser (Ed. ), School culture (pp. 15-30). London: Paul Chapman. Whitty, G. J., Power, S., Gamarnikow, E., Aggleton, P., Tyrer, P., & Youdell, D. (1999). Health, housing and education: Tackling multiple disadvantage. In A. Hayton (Ed. ), Tackling disaffection and social exclusion: Education perspectives and policies (pp. 67-79). London: Kogan Page. Whitty, G. J., Aggleton, P., Garmarnikow, E., & Tyrer, P. (1999). Education and health inequalities. In D. Gordon, D. Dorling, & G. Davey Smith (Eds. ), Inequalities in health: The evidence (pp. 138-147). Bristol, UK: Policy Press. Power, S., Whitty, G., & Youdell, D. (1999). Doubly Disadvantaged: Education and the Homeless Child. In P. Vostanis, & S. Cumella (Eds. ), Homeless Children: Problems and Needs (pp. 130-141). London: Jessica Kingsley Publishers. Mortimore, P., & Whitty, G. J. (1999). Can school improvement overcome the effects of disadvantage?. In T. Cox (Ed. ), Combating educational disadvantage: Meeting the needs of vulnerable children (pp. 156-176). London: Falmer Press. Whitty, G. J., Power, S., & Halpin, D. (1998). Self-managing schools in the marketplace: The experience of England, the USA and New Zealand. In W. Bartlett, J. A. Roberts, & J. Le Grand (Eds. ), A revolution in social policy: Quasi-market reforms in the 1990s (pp. 95-108). Bristol, UK: Policy Press. C. Jones (Eds. ), Refugee Education: Mapping the Field (pp. 00). Stoke on Trent, UK: Trentham Books. Whitty, G. J. (1998). Interview with Geoff Whitty. In C. A. Torres (Ed. ), Education, Power, and Personal Biography: Dialogues with Critical Educators (pp. 241-262). New York: Routledge. Whitty, G. J. (1998). Citizens or consumers? Continuity and change in contemporary education policy. In D. Carlson, & M. Apple (Eds. ), Power/Knowledge/Pedagogy: The meaning of democratic education in unsettling times (pp. 92-109). Boulder, CO: Westview Press. Whitty, G. J. (1997). School autonomy and parental choice: Consumer rights versus citizen rights in education policy in Britain. In D. Bridges (Ed. ), Education, Autonomy, and Democratic Citizenship: Philosophy in a Changing World (pp. 87-98). London: Routledge. Whitty, G. J. (1997). Recent Education Reform: Is it a Postmodern Phenomenon?. In R. Farnen, & H. Sunker (Eds. ), The Politics, Sociology, and Economics of Education: Interdisciplinary and Comparative Perspectives (pp. 252-270). Houndmills, UK: Macmillan. Whitty, G. J. (2009). The Legacy of Neo-Liberal school reform in England. Comparative Education, 39, 3-28. Snook, I., Bates, R., Dale, R., Peters, M., & Whitty, G. (2008). The contribution of john codd to education: A commentary. New Zealand Journal of Educational Studies, 43(1), 145-156. Whitty, G. J. (2007). Education reform and civic identity: Global and national influences. Hitotsubashi Journal of Social Studies, 31(1), 1-18. Whitty, G. J., & Wisby, E. (2006). Moving beyond recent education reform and towards a democratic professionalism. Hitotsubashi Journal of Social Studies, 38(1), 43-61. Whitty, G. J., & Power, S. (1999). Making sense of education reform: Global and national influences. International Journal of Contemporary Sociology, 36(2), 144-162. Power, S., Whitty, G. J., & Youdell, D. (1999). Homelessness and education in England: Toward a social reaction model. Journal for a Just and Caring Education, 5(1), 108-125. Whitty, G. J. (1999). Diversity, choice and markets in education: Benefits and costs. Hitotsubashi Journal of Social Studies, 31(2), 53-68. Halpin, D., Gerwitz, S., Power, S., & Whitty, G. (1998). The ‘Third Way’ starts off on a test drive. Parliamentary Brief, 5(7), 21-22. Rivers, K., Aggleton, P., & Whitty, G. (1998). Professional preparation and development for health promotion: A review of literature. Whitty, G. (1996). The crisis in teacher education: A European concern? - Adams,A, Tulasiewicz,W. TEACHERS COLLEGE RECORD, 97(3), 486-488. Furlong, J., Whitty, G., Whiting, C., Miles, S., Barton, L. E. N., & Barrett, E. (1996). Re-defining partnership: Revolution or reform in initial teacher education?. Journal of Education for Teaching, 22(1), 39-55. Magee, C., Warwick, I., & Whitty, G. (1994). Positive feedback.. The Health service journal, 104(5397), 21. Whitty, G. (1985). Theory and Resistance in Education - A Pedagogy for the Opposition - Giroux, HA. Harvard Educational Review, 55(2), 233-235. Whitty, G. (1984). The Privatization of Education. Educational Leadership, 41(7), 51-54. Ashenden, DJ, Kessler, S, Dowsett, GW. British Journal of Sociology of Education, 4(3), 255-262. Arnot, M., & Whitty, G. J. (1982). School texts, the hidden curriculum and the curriculum-in-use. Discourse, 3(1), 1-21. Arnot, M., & Whitty, G. J. (1982). From reproduction to transformation: Recent radical perspectives on the curriculum from the USA. British Journal of Sociology of Education, 3(1), 93-103. Wood, D., McLeod, M., Viragh, K., Devlin, M., Hill, A., Harvey, A., Nelson, K. (2017). A comparative study of the equity strategies employed by Australian universities. CQUniversity, Australia. Whiting, C., Black, P., Hordern, J., Parfitt, A., Reynolds, K., Sorensen, N., & Whitty, G. J. (2016). Towards a New Topography of ITT: A profile of Initial Teacher Training in England 2015-16 (Occasional Paper No. 1). Bath, United Kingdom: Bath Spa University, Institute for Education. Atherton, G., Dumangane, C., & Whitty, G. J. (2016). Charting Equity in Higher Education: Drawing the Global Access Map. London: Pearson. Whitty, G. J., & Anders, J. (2014). (How) did New Labour narrow the achievement and participation gap? (46). London: Centre for Learning and Life Chances in Knowledge Economies and Societies (LLAKES).